Have a taste of driving our Diesel Multiple Unit on the main line! 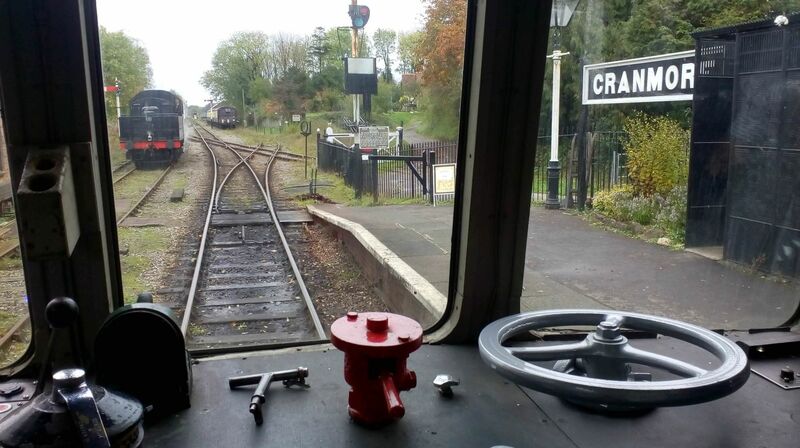 Join our crew in the cab and see how they operate their wonderful DMU, with hands on tuition from our experienced Driver, before taking the controls yourself. Did you sit behind the driver on a Diesel Multiple Unit as a child, looking through the big cab windows wishing you could go ‘up front’? Did you do the same once you’d ‘grown up’, while you were commuting to work? Well now we can give you the chance to fulfil your ambition! Our DMU Driver Taster Session gives you the opportunity to ride with the Driver and watch how to control the train, before you get the chance to drive over the steeply graded route yourself. Our experienced driver will explain exactly what to do and how things work, then you’ll be shown how to operate the controls and ultimately take charge of the train, fulfilling that childhood goal! Fit the Driver's key and controls into position. Listen to the Driver as he explains what to do. Set the lights and destination blind. Create vacuum pressure in the braking system. Get the ‘ready to start’ signal from the Guard. Press down the Deadman's handle. Apply power and you’ll hear and feel the engines rev. Release the brake and away you go! Blow the horn and obey all the speed restrictions – there’s lots to look out for! Now you’re in the seat and on the move the Driver will instruct how to control the train, how much power to use, when to change gear, how much brake pressure you’ll need and where to apply them but its YOU that’s driving, YOU that’s making the train move, now all you have to do is stop in the right places without jerking! All participants will receive 2 free day rover tickets for family and friends, plus a commemorative certificate and gift from the ESR on completion of your experience. 2019 DMU DRIVER TASTER SESSION £120. Each session lasts one and half hours and they are limited to 2 participants per session. Due to the complexity of the organisation involved in operating the DMU Taster Sessions the following conditions apply. We are unable to offer a general gift voucher for the DMU Taster Session. Date and time needs to be pre-booked. We are unable to accept alterations within 21 days of booked date. If an alteration to the booked date is necessary prior to 21 days an administration fee of £40 will be required.